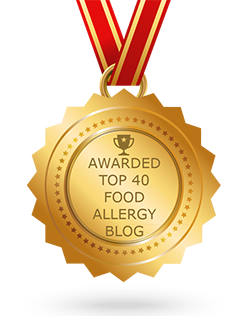 Another wonderful quick review provided by Sheri, whose daughter is allergic to dairy and egg. My family recently dined at the biergarten in the Germany pavilion at Epcot. I had made advanced reservations for all of our table service restaurants well in advance and had our allergies noted at that time. Our party consisted of my in laws, my husband, myself, and our 7 year old daughter who has severe dairy and egg allergies. My husband and I eat on her diet when we are with her. The biergarten is a very popular buffet style restaurant, please get advanced reservations ASAP if you want to dine here. It was crowded and took about 15 minutes for a chef to come out to see us. however, when the chef arrived he was courteous and kind and took us right to the buffet. there were many options for us to choose from including cold deli meats, pickled beets and red cabbage, sauerkraut, knockwurst (one of my daughter’s favorites), german potato salad, and pork loin roast with apple butter. Please try the pretzel rolls, they are wonderful! Our family has a german background so these are all foods out daughter is familiar with. The food is excellent and the chef offered to fix any dishes we wanted in the kitchen and bring them to us if we were worried about cross contamination. During dinner there is a German band who take the stage to preform. a dance floor is available for dancing and polkas (practice your chicken dance). The restaurant is very family friendly and in addition to serious polka dancers there are always little ones jumping and hopping around. One item to note: you sit at a long tables with other parties. This means there will be allergens present at the table. We sat our daughter in between us and she felt safe. Because we had a chef come out to the table the other guests who sat with us were curious about daughter’s allergies. We answered any questions and they were amazed at the level of service we received. 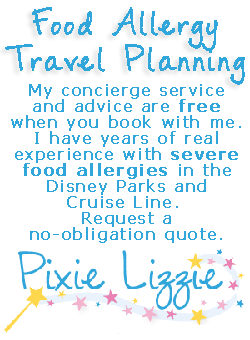 If you would like to review Biergarten Restaurant or any Disney restaurant, submit a food allergy dining Quick Review.